Ughhh. As I'm sure the low score and skeleton graphic on the top of this review indicate, the latest offering from Michael Kiske has failed to impress me even just a tad. As most, if not all of you are aware, Kiske swore off metal forever after his Supared album was panned by critics and fans alike. Despite that, Kiske found time to make numerous guest appearances in metal projects, the latest being the Superheroes EP from Edguy. Last year, Kiske teamed up with PC69 members in the form of Place Vendome to release what turned out to be one of my favorite melodic rock albums of the year. I am left scratching my head with this release. This latest offering from Kiske isn't even in the hard rock territory of Place Vendome, his previous solo albums, or even the "lighter" metal or hard rock from Pink Bubbles go Ape. 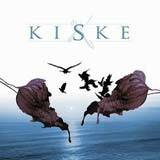 This is a new venture of Kiske into slow, boring pop music. It's almost like Kiske is sticking out his tongue to metal fans and showing them just how "un-metal" he has become. From the first note to the last, the album is consistently slow, very slow. I have to say that this is one of the most tedious albums to get through that I've ever listened to. There is absolutely no variation whatsoever to be found in this album. Each and every song is of the exact same mega SLOW tempo, with the same "just there" acoustic guitars slogging through this menagerie. The slow tempo on its own wouldn't be such a problem for me if the songs at least had a catchy or memorable quality to them, but sadly the entire album is devoid of such characteristics. As touched upon earlier, I actually do like Pink Bubbles Go Ape and parts of Chameleon. Furthermore, I can certainly listen to a good Journey or Bon Jovi ballad without hesitation. Having said that, I want to make it clear that I don't despise this album simply because it's not metal or because of the slow tempo. The cold hard fact (for me at least) is that the songs are terribly boring and uninspired. Not one song jumps out at me, and dare I say it, Michael Kiske's vocals even sound lackadaisical or downright lazy at times. The melodies (when the dragging tempo doesn't actually kill them) all fall flat, and the music itself is about as exciting as watching grass grow. That, combined with the total lack of variation or slightest bit of energy leaves me 100% disinterested, and totally unable to detect any emotion radiating from this collection of songs. Boring and lifeless music accompanied by what sounds like uninspired and emotionally devoid vocals is a recipe for disaster. By as early as the third track, the music starts running together. This tired repetition never goes away, and it feels like the same damn acoustic guitar based lullaby playing for 46 minutes. I sense that as much effort, emotion, and creativity were used in writing these songs as was used to come up with the title for this album. On the "bright" side, some electric guitar solos can be found. However, they're hardly impressive, and not nearly enough to wake you from the impending deep sleep that you will fall into by the middle of the album. It is quite possible to write slow, but interesting and emotionally captivating songs, but this album horribly misses the mark in that department. That's truly sad coming from a veteran of the calbre of Michael Kiske. In all honesty, I would imagine that even the most die hard Kiske fan and the most open minded visitor of this site will have problems getting into this album. Without a doubt, I consider this album a "must avoid" for most, if not everyone that is still reading this review. As he showcased with last year's Place Vendome release, Kiske still is a very talented singer, and has a lot to offer, even if it's not in the form of metal. However, this album is nothing but a frustrating waste of talent as far as I'm concerned. Even Kiske's voice sounds sadly uninspired on this album. If activities such as watching paint dry, waiting in long lines at the bank, sitting in traffic jams without a stereo to listen to, or counting the number of tiles in the ceiling are appealing to you, by all means check out this album while on your way to the Saturday Night Snail Races. For everyone else, move on to something that at minimum contains interesting compositions; slow tempos, furious tempos, or anything in between.